"I did pretty much exactly that, but it was work product, so I can help you get started, but can’t give you code. My stuff let you zoom the camera, and point the gimbal. It actually controlled more than one camera (one a Sony and one another…"
"Hi Thanks for the post.I have a Sony camera that I want to control with a receiver (pwm). I want to control, zoom, focus and record mode. I want to use visca protocol. I have an arduino micro. Can someone help me with the code? Thank"
"Wow. That's very impressive. Also want to do something like that, but it seems too hard for me." "Ahh sorry forgot to ask, i know this is a really old post but do you: 1. Do you still have this Ground Control Station ? or 2. Have you made upgrades to it over time and resulted in a completely different build ? thanks loads in advance for info…"
"Good day to you elad orbach ! i just wanted to say, thanks so very very much for sharing your design !!! even though it was made in 2013 - its still inspiring a lot of folks - WELL DONE MAN !!!! Signed up to DIY Drones just to say that…"
"Nice work. 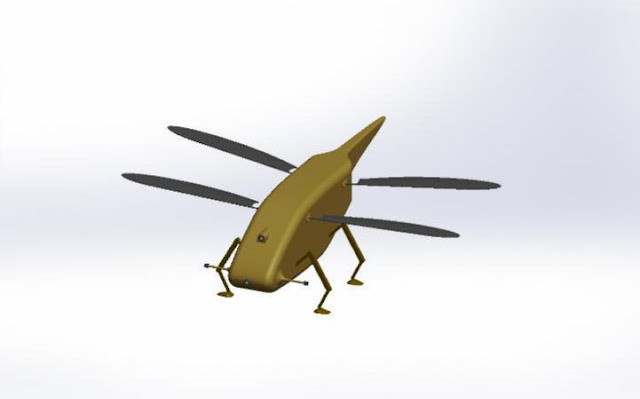 I also like to share my GCS design for our UAV project." "@Luca Spano hi well if you look at the data-sheet of your mini itx board you could figure out the polarity you can use dc -> dc voltage converter to power it safety (just verify the current consumption - also in the data-sheet) in terms of ups…"
"please take a look at those cheap ebay replacement for a low cost obstacle avoidance click on me (here)"
"Hi Elad, can you send me a picture of the battery connections and the precise components you used to power the card? I'm using a mitx card but I have doubts about the power supply from battery and the connection to the charger, I wanted to use…"
"Yeah,it is luxury. Are you interested in the cheaper and fine LiDAR control system.Here is the link: http://www.benewake.com/en/index.html"
"your Item is very expensive at ebay i am a poor man, i don't like yours." "Hi,elad. You do a great job! I love it. And I hope my LiDAR can be embed into your system to help you explore the farther ground.Here is the link:http://www.benewake.com/en/ce30.html"
They have done it again, Festo thinking out of the box. Happy newyear to you too! - What version arducopter are you using ? - what in fact *is* the problem ? - did you tripple-check all connections ? - do you have access to a scope ? I will see if I have some testprogram still around. I used it while developing this patch. It might help to isolate the problem. Hey Elad, I was wondering if I could get your approval to put a picture of your completed ground control station on my Senior Design project. I am also making a ground control station.